Blank blown hearts are 1-1/4" x 2" x 2". Red, pink, and white ornaments with silver hanging strings. Set of 12 (4 of each). 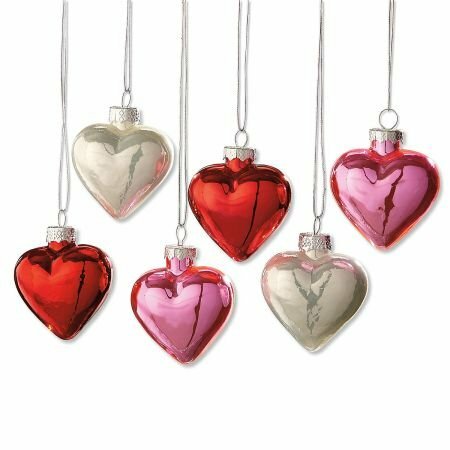 Northlight 12ct Valentines Day Red Shatterproof Shiny Heart Christmas Ornaments 2.5"